Day 74. 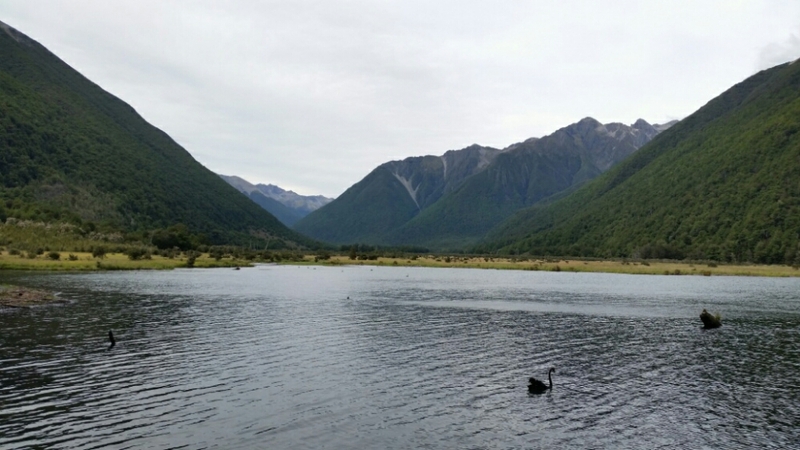 Nelson Lakes. January 15. 2016. How many times can I look at the weather forecast and try to find better weather? The forecast doesnt ever seem to match reality anyway. 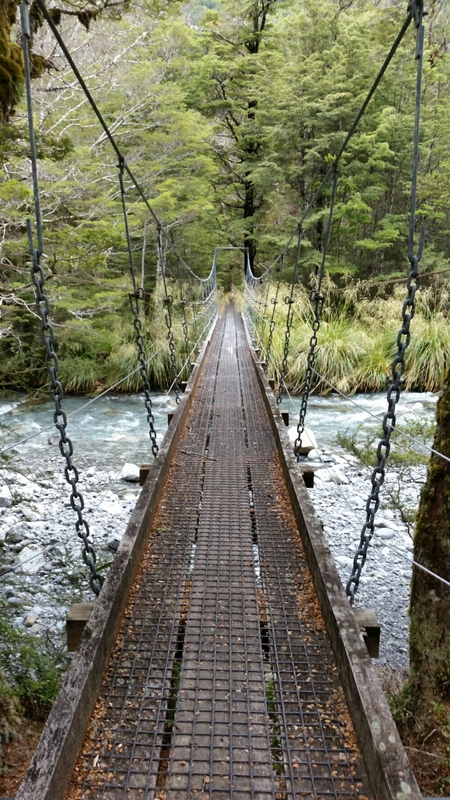 This Nelson Lakes section has lots of walking in the trees along rivers. Rain and/or wind doesn’t make much difference there. 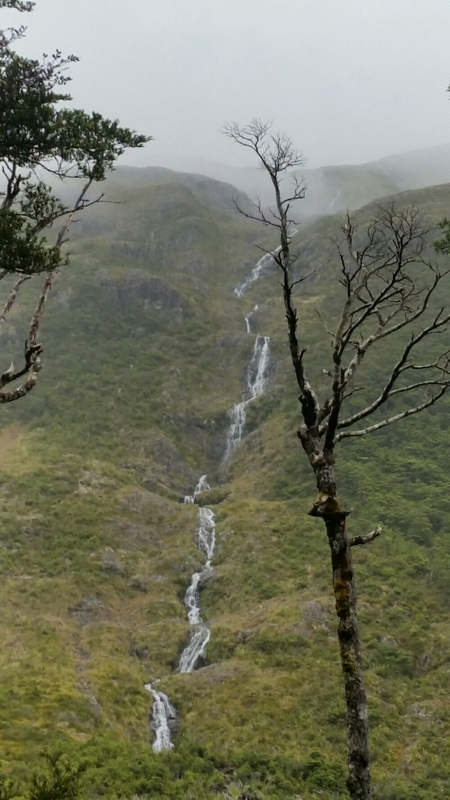 There are also 2 passes (Travers Saddle and Waiau Pass) which are above treeline so wind, rain and visibility matter…. plus they have steep, rocky descents which really slow me down. Besides being safe, I want to see the views. So I need 2 windows of good enough weather. Waiau Pass is the hardest. The forecast is good enough and I have lots of extra food in case I sit out some days in the huts. This morning was an easy walk along the lake. 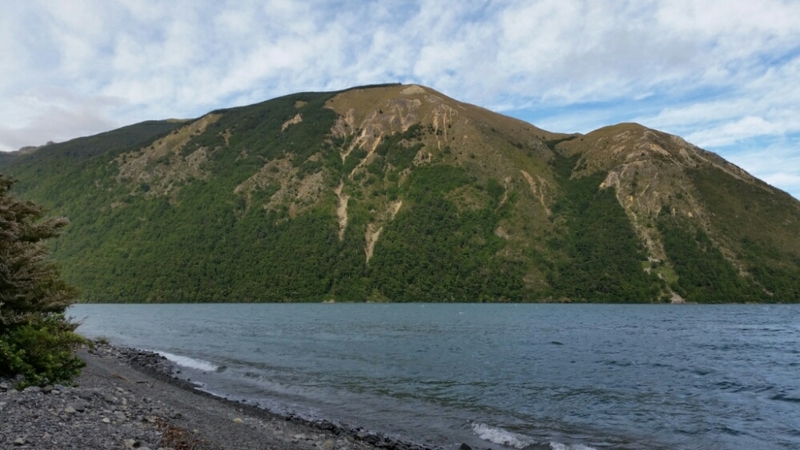 I wanted to hike up Roberts Ridge to Angelus Hut but it was too windy. Then the trail followed the river. Waterfalls.... the good side of rain. 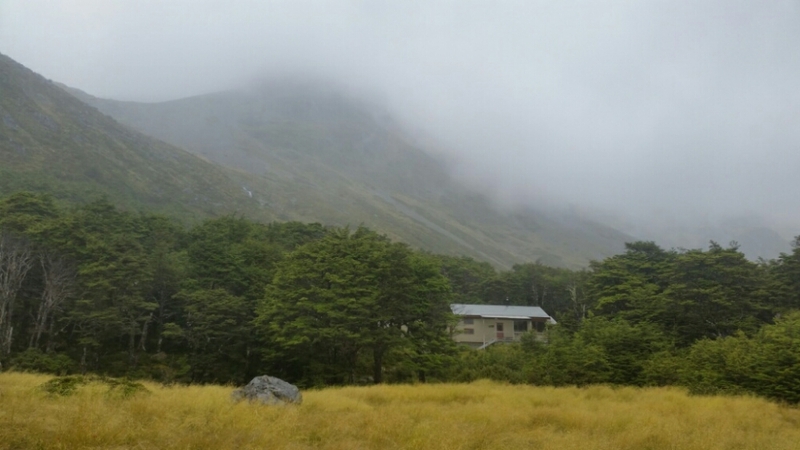 Upper Travers Hut in the mist. 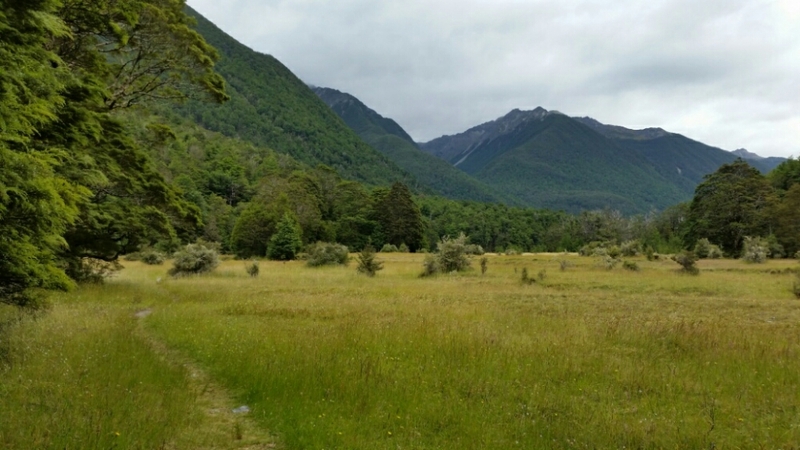 I passed by 2 huts and am now at Upper Travers Hut with 6 other TA hikers (Brett, Nathan, Owen, Sean, Arno, Stephan) and 4 other people (one of them, Melanie, is also wearing Altra shoes.) 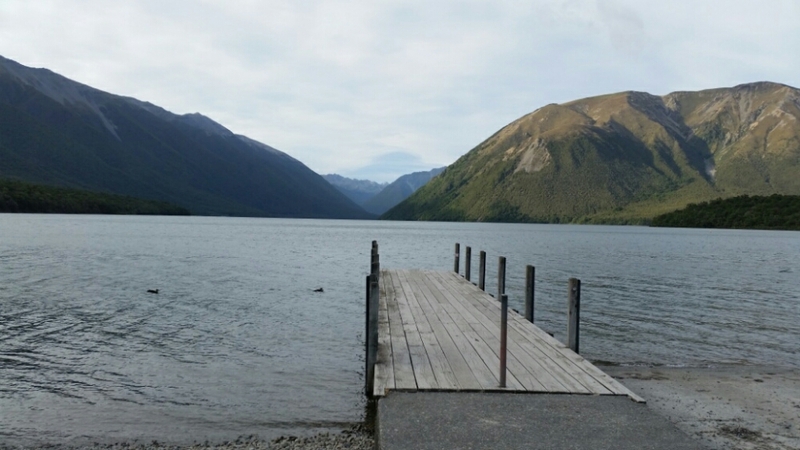 All the Nelson Lakes area huts are nice and huge. This one sleeps 24 so 11 people is not crowded. We have a nice fire going in the woodstove. Ha, ha. 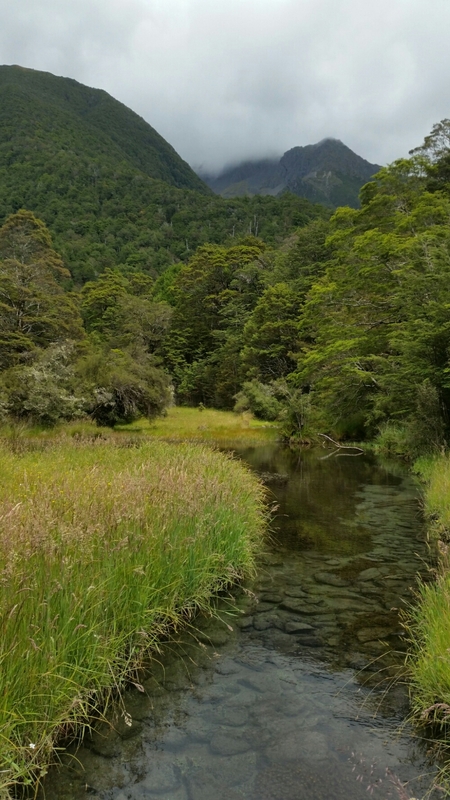 Waiau was mystical magic. You need to get up there. I hope you told zpacks you saw my pack! I’m glad I got to meet you. Ha, ha. That pass is the best. Let me know how the new pack works out for you.